Are South Africans satisfied with their freedom? 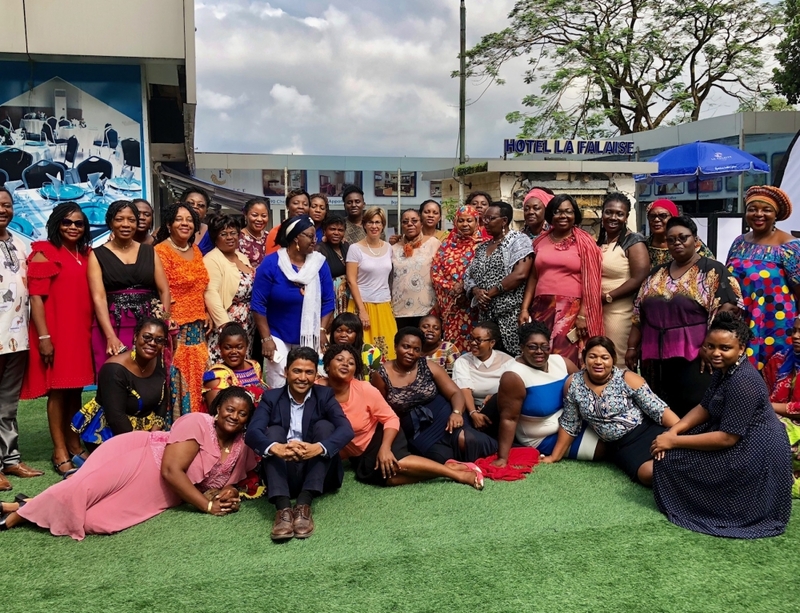 As South Africans celebrate the 27th April as the day that brought about political freedom for all citizens, there is value in asking: how free do South Africans feel 24 years later? Although Freedom Day commemorates universal political freedom, it is important to evaluate the economic context of freedom in questioning whether or not South Africans are free to live the lives they want to and whether different groups experience greater freedom than others? 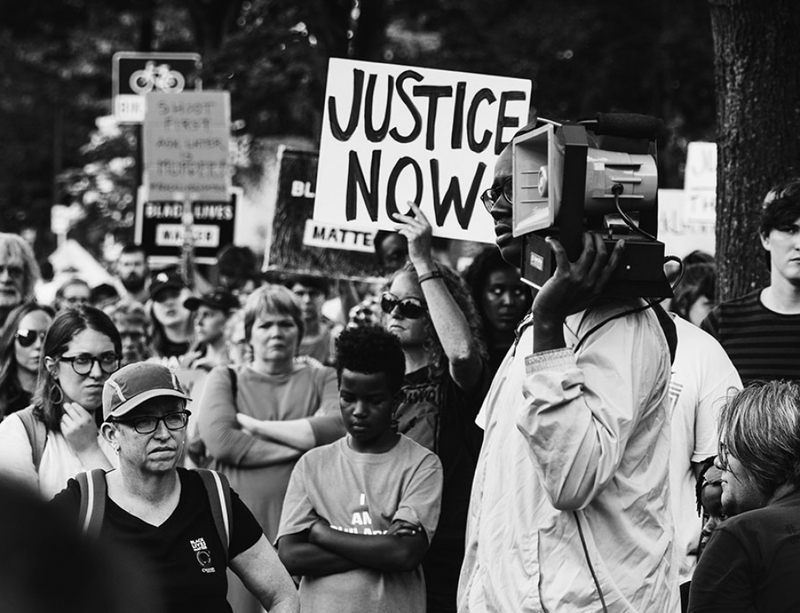 The South African Reconciliation Barometer (SARB), the regular, nationwide survey carried out by the Institute for Justice and Reconciliation (IJR), provides some tentative answers to these pertinent questions. The latest SARB survey was carried out in 2017. The first group of questions asked respondents: ‘who do you believe has the most economic power?’ (Figure 1) and ‘how do you feel about the amount of economic power you personally have?’ (Figure 2). Respondents’ answers to these two questions are worrying for two reasons: Firstly, South Africans are most likely to believe the ‘majority of white people’ (continue to) have the most economic power in the country, and secondly, just over half of all South Africans are ‘dissatisfied’ with their economic power. 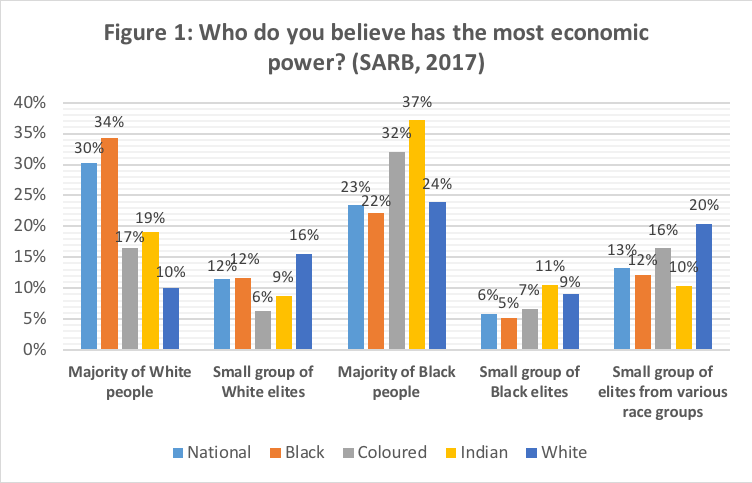 Figure 1 reveals that black South Africans are more likely than other population groups to believe that the ‘majority of white people’ continue to have the most economic power. Based off several employment indicators and economic trends, this perception is supported by statistical evidence, despite only 10% of white respondents believing this to be true. Figure 2 serves as an indictment of years of slow economic growth and ‘stubbornly high inequality’ in society. South Africans across all race groups express great dissatisfaction in their sense of personal economic agency. 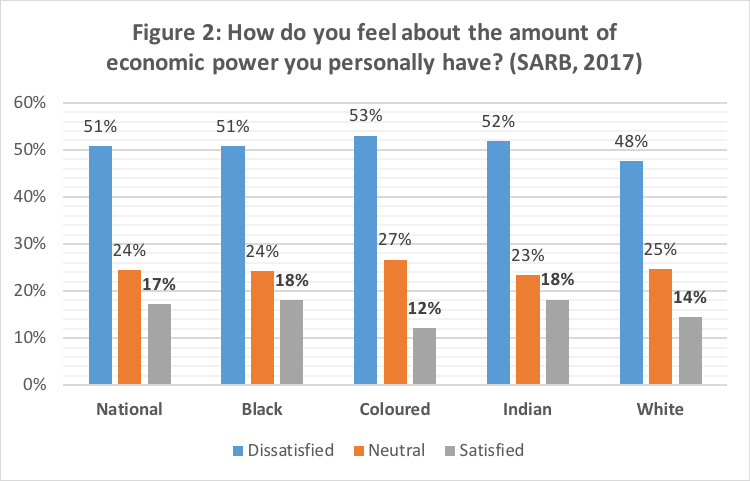 Despite the substantial economic inequality between black and white South Africans, white South Africans are less satisfied with their personal economic agency. If the majority of South Africans feel that there has been insufficient change in the structure of the economy, and are not satisfied with their own economic situation, do they feel free to pursue their personal goals? 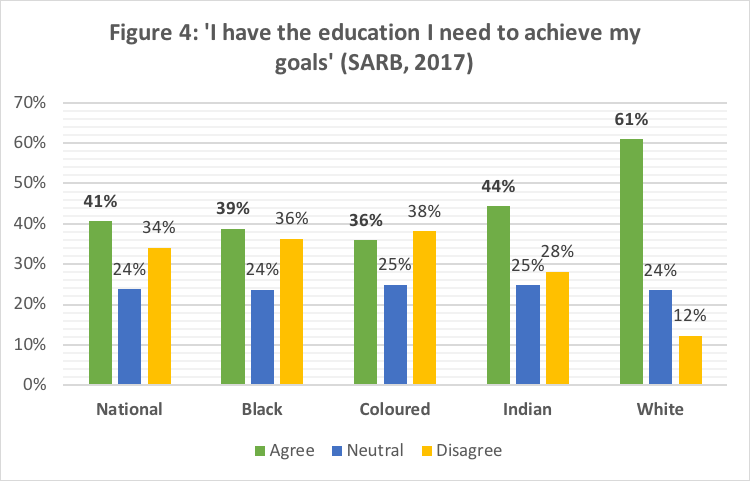 Figures 3 and 4 examine whether South Africans sense that they have the means to achieve their goals, specifically focusing on finance and education. 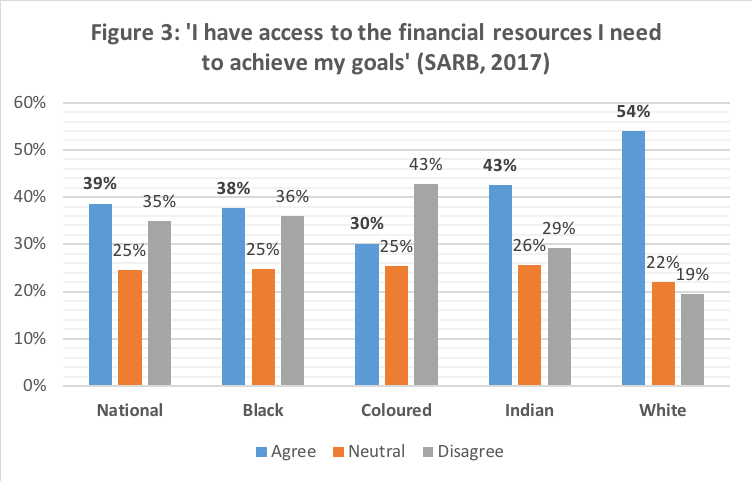 Asked whether they agree or disagree with the two statements, only 39% of South Africans agree they have ‘access to the financial resources I need to achieve my goals’ while only 41% agree they ‘have the education’ needed to achieve their goals. As the results of Figures 3 and 4 point out, white South Africans are the only population group where a majority of respondents agree that they have the means to achieve their goals. 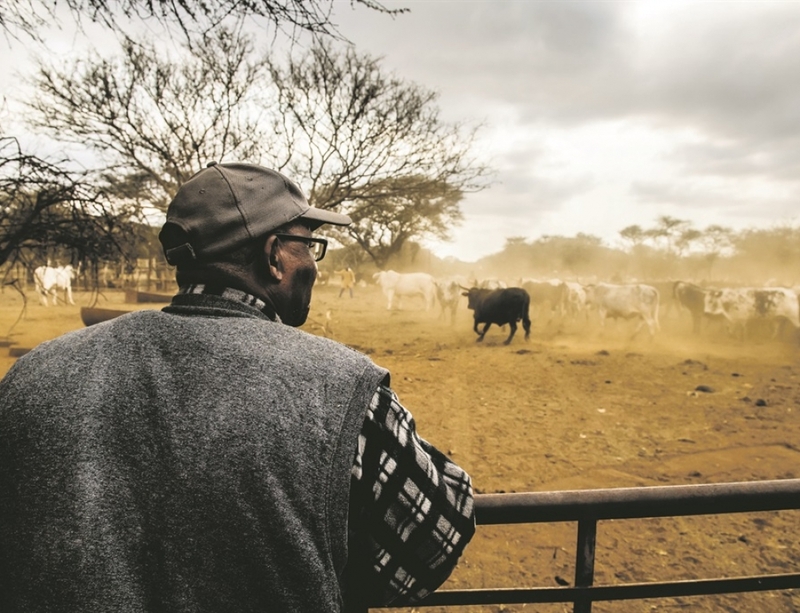 The disparity between black and white South Africans’ agreement on having the requisite financial resources and education to achieve their goals is substantial, 15% and 20% respectively. Finally, Figure 5 shows only 56% of South Africans agree they have the self-confidence to achieve their goals. 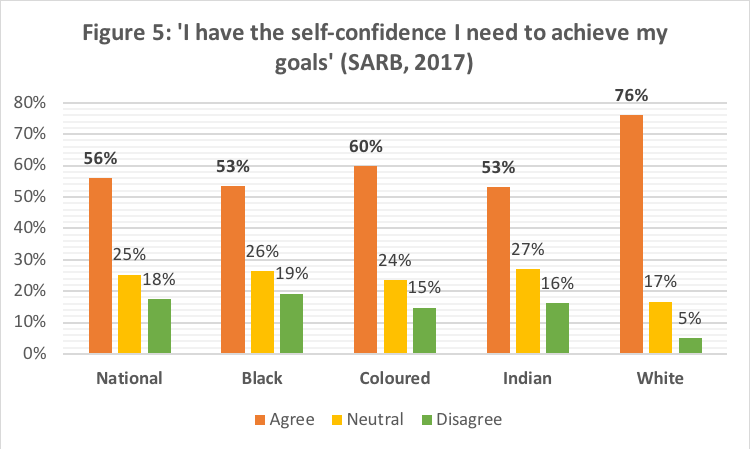 The racial difference is substantial: just over half (53%) of black and Indian South Africans possess enough self-confidence to achieve their goals, in contrast to 3-in-4 (76%) white South Africans. The findings from the 2017 SARB survey reveal that South Africans have differing and generally negative experiences of economic freedom. Firstly, they do not believe that there has been a substantial transfer of economic power, and are highly dissatisfied with their personal economic circumstances. Secondly, only 4-in-10 South Africans believe they have the necessary financial resources and education to achieve their goals. This perception, however, is more positive for white South Africans. Finally, only a small majority of South Africans possess the self-confidence to achieve their goals; again, white South Africans possess much higher self-confidence. As Freedom Day 2018 approaches, the SARB survey indicates that South Africans are critical and dissatisfied with aspects of their personal freedom. 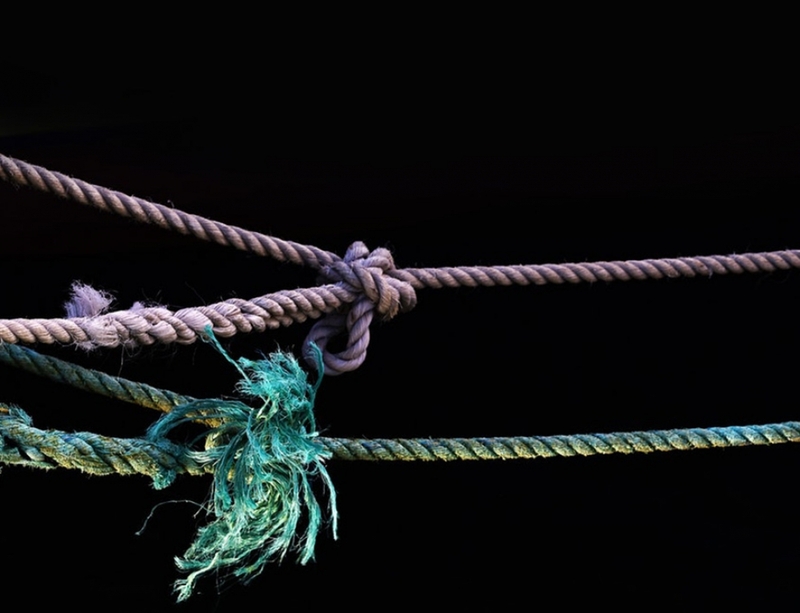 Despite the promise of the democratic transition, personal freedom is inhibited by economic circumstances and some South Africans exercise greater freedom than others.